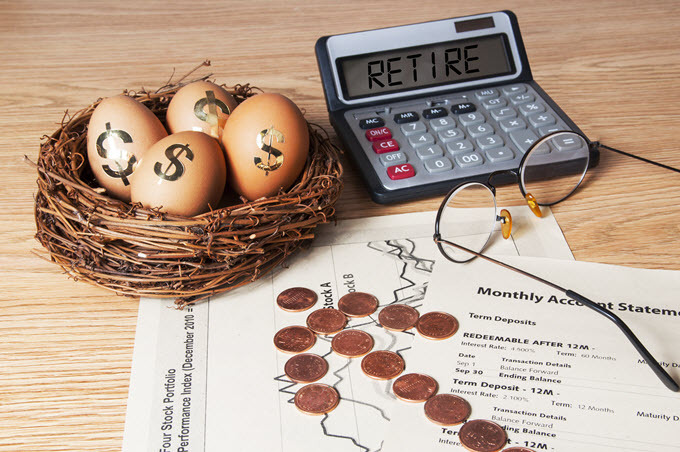 Have you been preparing for retirement by making regular deposits into an account? This calculator can tell you the present value of your savings. First enter the amount of the payment that you’ve been making, the account’s interest rate, the number of years you’ve been making these deposits, and the payment interval. Press CALCULATE and you’ll see the present value of the money you’ve been squirrelling away. An annuity is a binding agreement between you and an insurance company that aids in meeting your monetary goals at retirement. They usually require that you make an initial lump sum payment or a series of scheduled payments, in exchange for the insurer paying to you periodic payments at a future date. Annuities usually defer taxes on investment gains but then tax withdrawals from the annuity at ordinary income rates. They also often contain a death benefit in the event you die and are unable to withdraw the money as income at retirement. An annuity due is the type of annuity that requires a payment at the beginning of a period. A car payment or house payment would be good examples of an annuity due. You make a payment at the first of each month, and each month thereafter on the same date, until the end of the defined term. You do not receive a payment in return in this type of annuity. Bonds are often ordinary annuities because they are paid at the end of a period. Bonds are usually funded through a coupon payment. Payments are made at the end of every period into an account until the bond matures. The amounts paid into a bond are fixed. The interest rate and period of time before maturity are also fixed. To be an ordinary annuity, three assumptions must be present. When calculating the present value of an annuity payment, a specific formula is used, based on the three assumptions above. The present value of an annuity is determined by using the following variables in the calculation. When someone needs to figure how much money is needed as an initial investment to have a fixed amount at a certain date, they will calculate the amount needed divided by payment multiplied by calculated interest. For a present value of $1000 to be paid one year from the initial investment, at an interest rate of five percent, the initial investment would need to be $952.38. Sometimes, the present value formula includes the future value (FV). The result is the same and the same variables apply. The three constant variables are the cash flow at the first period, rate of return, and number of periods. The future value of an annuity is a difficult equation to master if you are not an accountant. To help you better understand how to calculate future values, an online calculator for investors can help you better understand how annuities are figured.